In recent weeks the Desert Regional Medical Center in Palm Springs has garnered international attention. On October 9th, the facility was highlighted by the media for its role in handling the remains of two beloved Palm Springs police officers and administering care to a third. The officers were shot as they responded to a domestic violence call in the city. Then, on October 23rd, the Desert Regional Medical Center (DRMC) staff once again responded to a catastrophic event when early that Sunday morning a tour bus with forty-three passengers, including the driver, slammed fifteen feet into the back of a big rig on Highway 10 near Palm Springs. The tour bus was headed back to Los Angeles from the Red Earth Casino near Salton Sea Beach. The accident left 11 dead and 30 injured. DRMC received and cared for most of the patients—including the most critically injured. 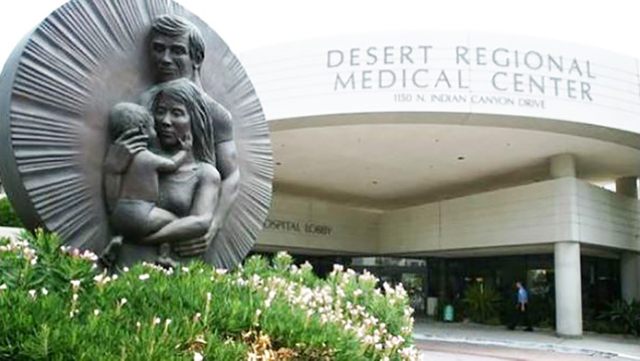 Little did the community know during the recent times of crisis that DRMC, the area’s only trauma center, was operating under a cloud of disturbing accusations. The letter went on to describe in detail a list of urgent concerns the nurses felt must be fixed to ensure what they defined as the highest quality of care. The disturbing communications was one more action in a growing list of actions taken by the nurses at DRMC, which also included two lawsuits and several complaints to state labor regulators.